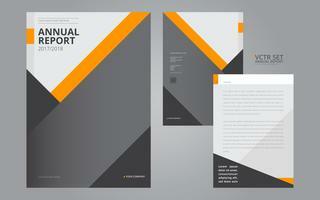 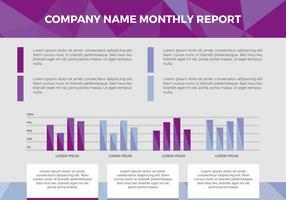 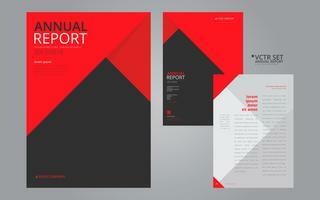 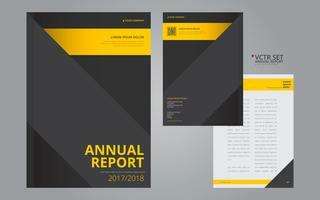 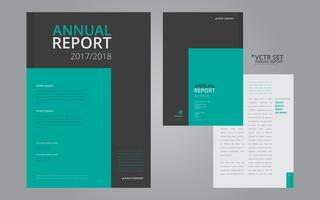 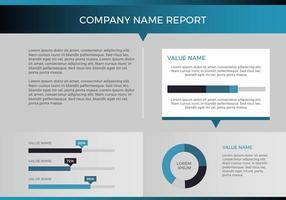 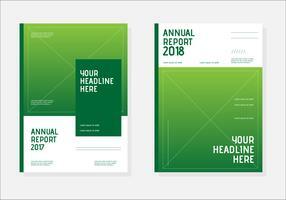 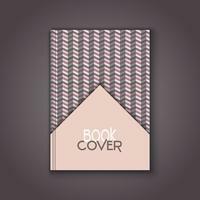 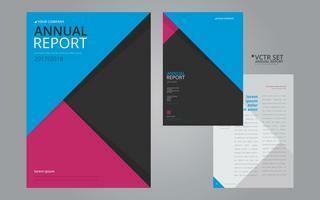 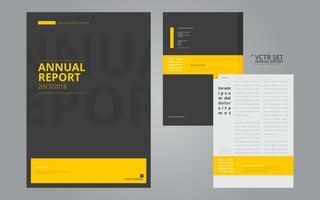 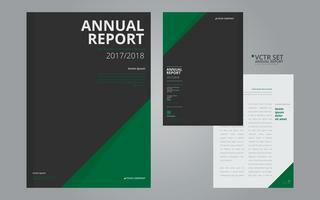 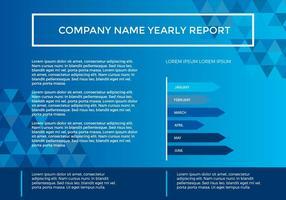 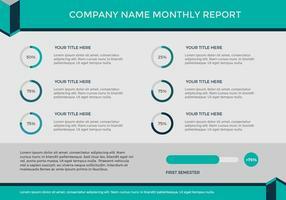 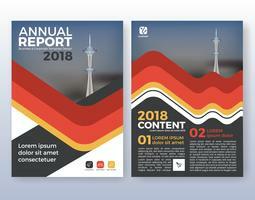 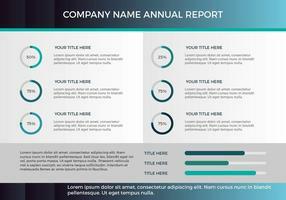 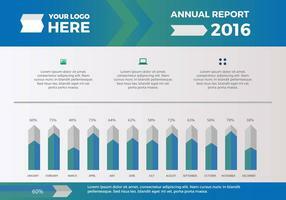 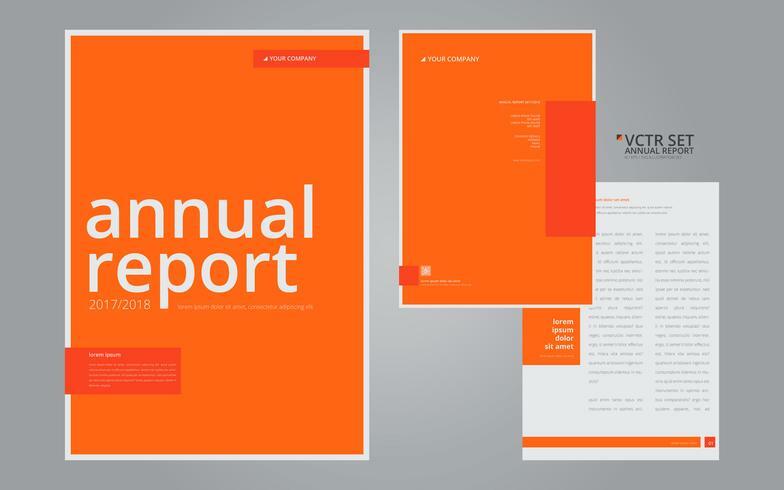 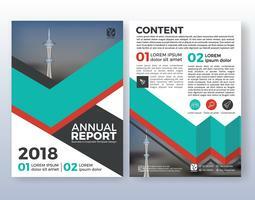 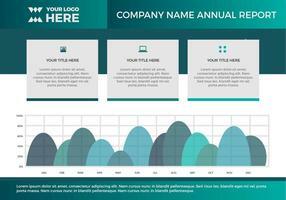 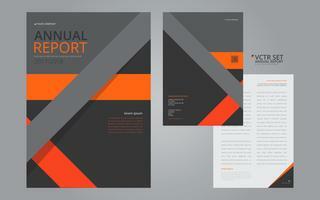 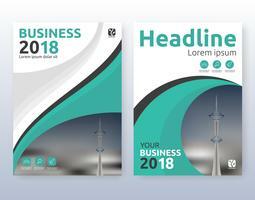 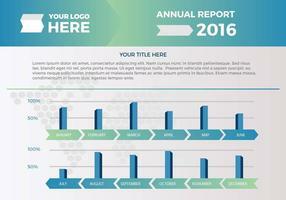 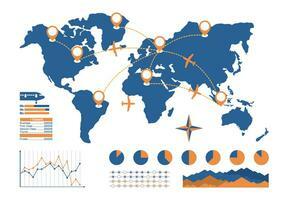 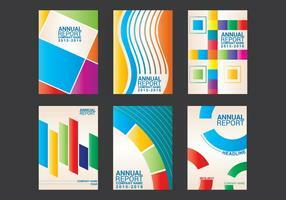 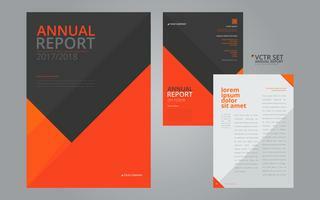 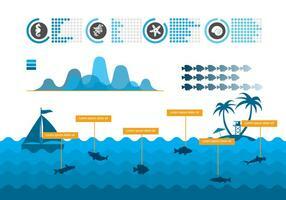 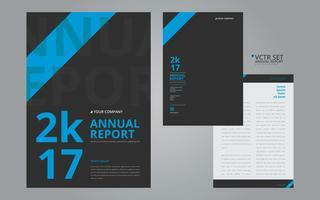 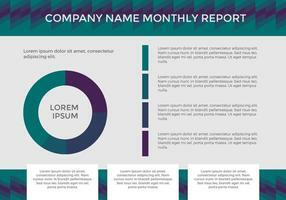 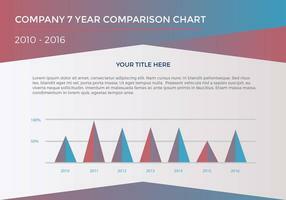 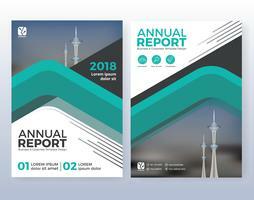 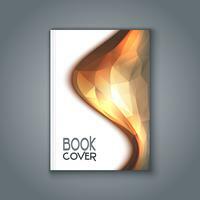 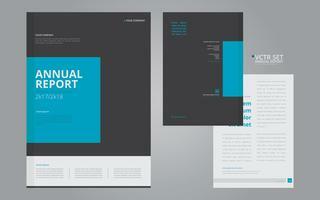 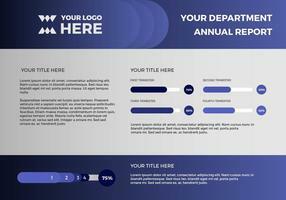 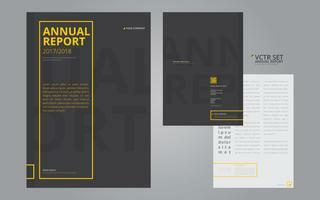 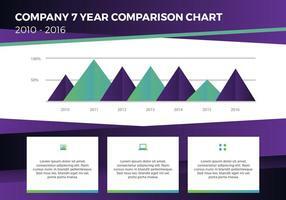 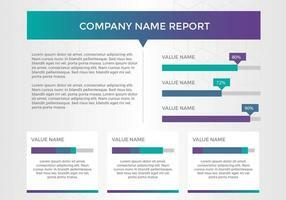 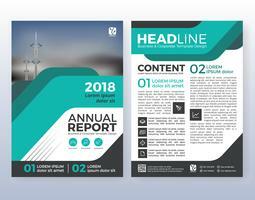 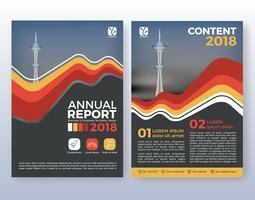 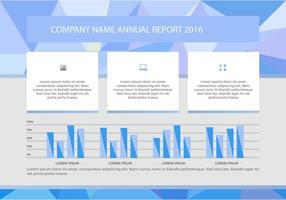 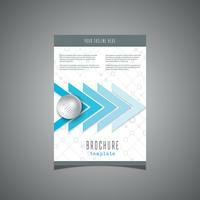 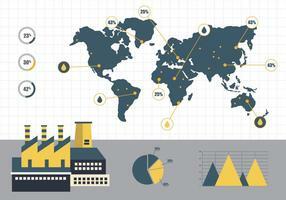 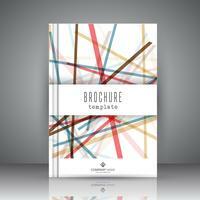 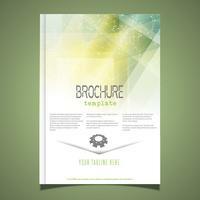 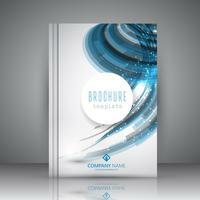 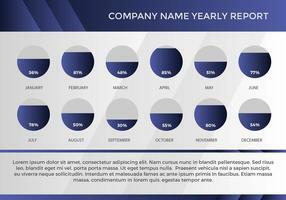 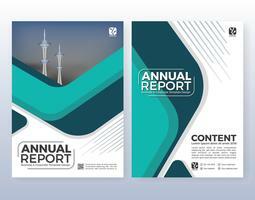 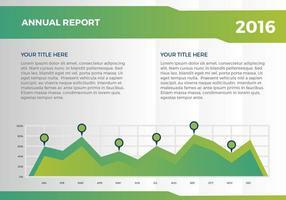 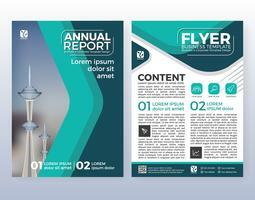 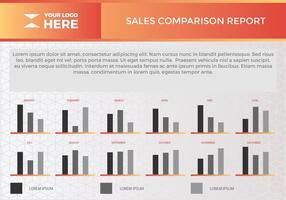 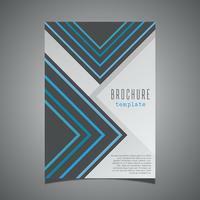 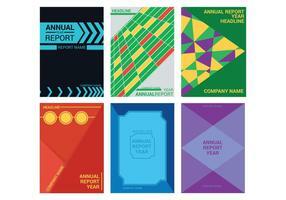 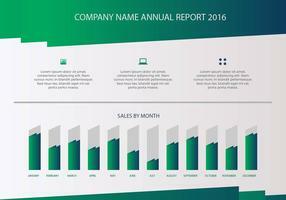 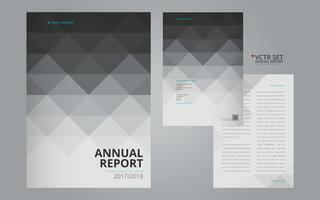 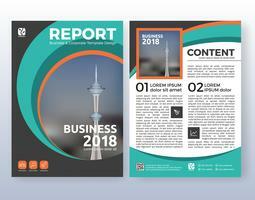 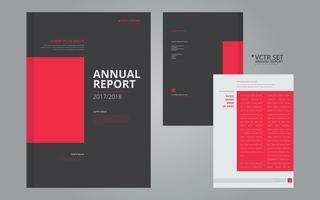 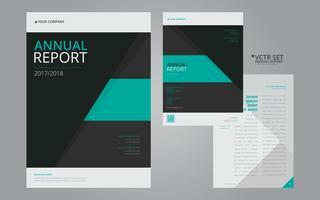 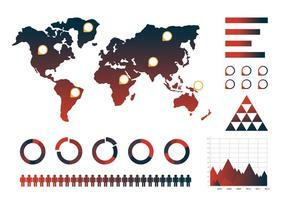 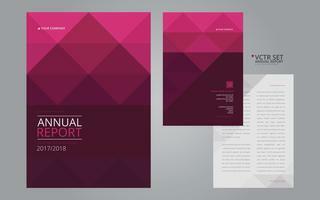 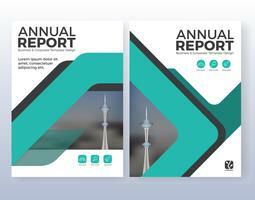 Annual report vector template in elegant geometric flat design, simple elegant design. 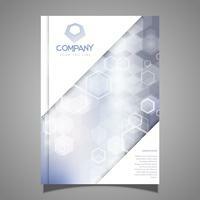 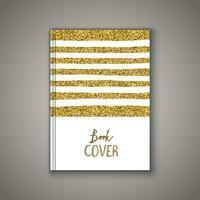 For business, marketing, presentation, communication purpose. 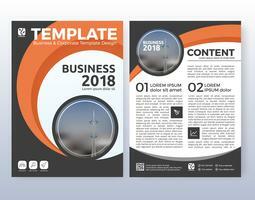 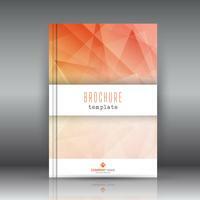 Design layout and template ready to use. 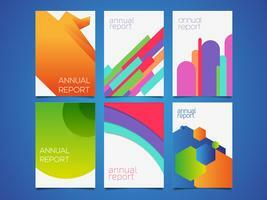 Colorful abstract background of paper with shadows. 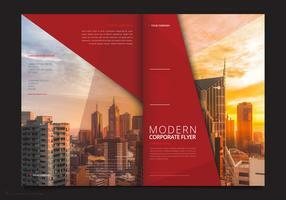 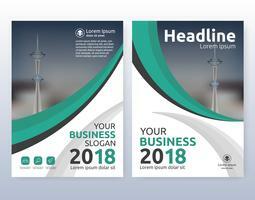 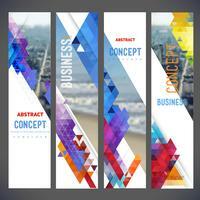 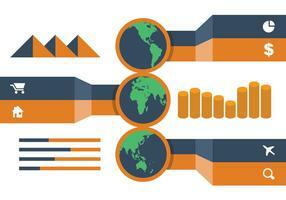 Vector set of banners, layout with colorful cityscape, space for logo and text.